Here at the Colorado Mountain Club, we believe that summits come in all shapes and sizes. 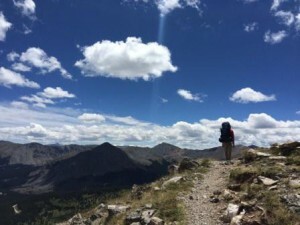 And no matter what, when you conquer something new, you have reached a new summit, be it getting to the top of your very first 5.6 climb, summiting your 54th 14er, backpacking for the first time, or mountain biking down a trail that you’ve been too scared to before. Whatever your “summit” was this summer, we want to know about it! In our opinion, there is no summit too small. Enter your favorite photo that shows you or your friends conquering a “summit”, whatever it may be, for a chance to be on the cover of the Trail & Timberline magazine, receive a limited edition adidas Terrex rain jacket, one free year of membership to the Colorado Mountain Club, and a Colorado Mountain Club swag pack. 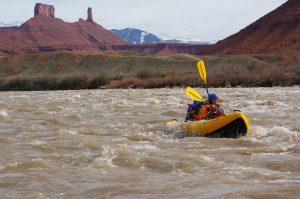 Colorado Mountain Club will choose the top five photos based on scenery, action, rad factor, and overall story. We will open voting up to the public September 24-28. Social media votes will be considered, but ultimately, the winner will be chosen by the Colorado Mountain Club. The photo with the most likes, however, will win the People’s Choice award. The winner will be announced on Monday, September 30, 2018. 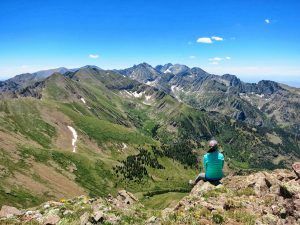 The Colorado Mountain Club No Summit Too Small Photo Contest begins September 1, 2018 at 9:00am (MST) and ends September 20, 2018 at 10pm (MST). All entries must be received before the deadline. By submitting any entry, each entrant unconditionally accepts and agrees to the Official Rules and warrants that his or her entry complies with all requirements as specified in the Official Rules. 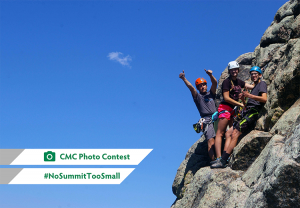 The No Summit Too Small Photo Contest (“Contest”) is sponsored by the Colorado Mountain Club, 710 10th Street, suite 200, Golden, CO, 80401 (“Sponsor”). All photo submissions must be in Colorado. No out of state or international photos will be accepted. The photo must, in its entirety, be a single work of original material from the entrant. By entering the contest, entrant represents, acknowledges, and warrants that the submitted photograph is an original work created solely by the entrant, that the photograph does not infringe on the copyrights, trademarks, moral rights, rights of privacy/publicity or intellectual property rights of any person or entity, and that no other party has any right, title, claim, or interest in the photograph. Photos with any provocative, defamatory, sexually explicit, or other inappropriate content will not be considered. Caption must include all contest hashtags and must contain enough information to convey the circumstances of when and where it was taken. Misrepresenting your content will be cause for disqualification. Photos must not be significantly modified. Modifications that are permitted are: resizing, cropping, color correcting (such as adjusting tone, saturation, etc. ), removing red-eye, spot editing, sharpening, removing noise, and similar modifications. Composite images are not allowed – This includes any photo that has elements added or removed. Frames, borders, watermarks and copyright notices are not allowed. 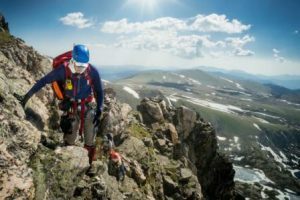 If you choose to include people in your photo, you are responsible for obtaining necessary releases from the individuals depicted and must be able to provide copies of those releases to Colorado Mountain Club upon request. 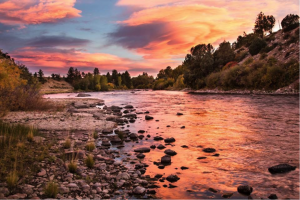 Any photo depicting the willful harassment of wildlife, damage to the environment, defacement of public lands, or putting people/animals in danger will not be accepted. Digital files submitted become the property of the Sponsor. Submission of entry constitutes permission for Sponsor to publish the entered photo image in any medium without compensation to entrant and to use entrant’s submitted information for any purpose, including marketing and promotion. Photo credit will be given on all such material.